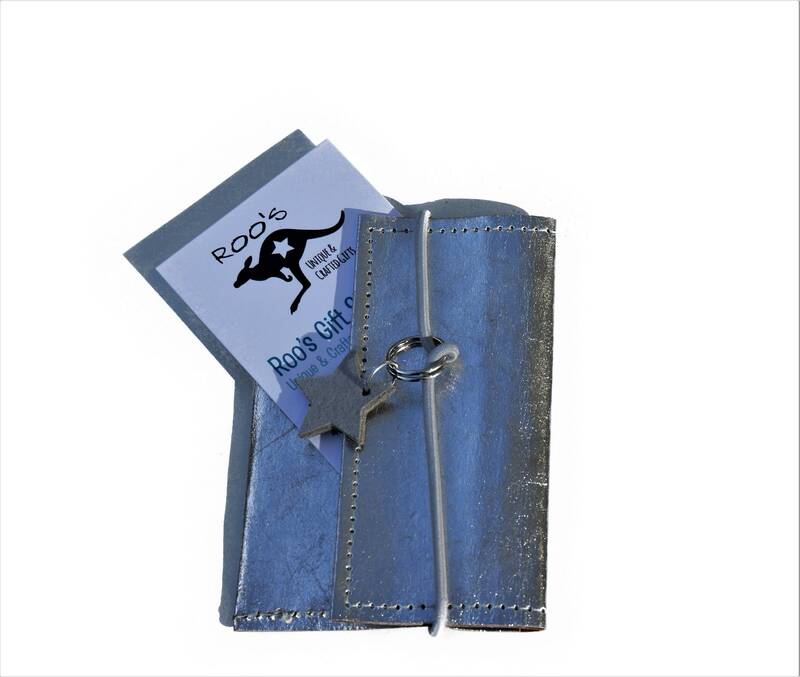 Silver Case for business cards from washable paper. 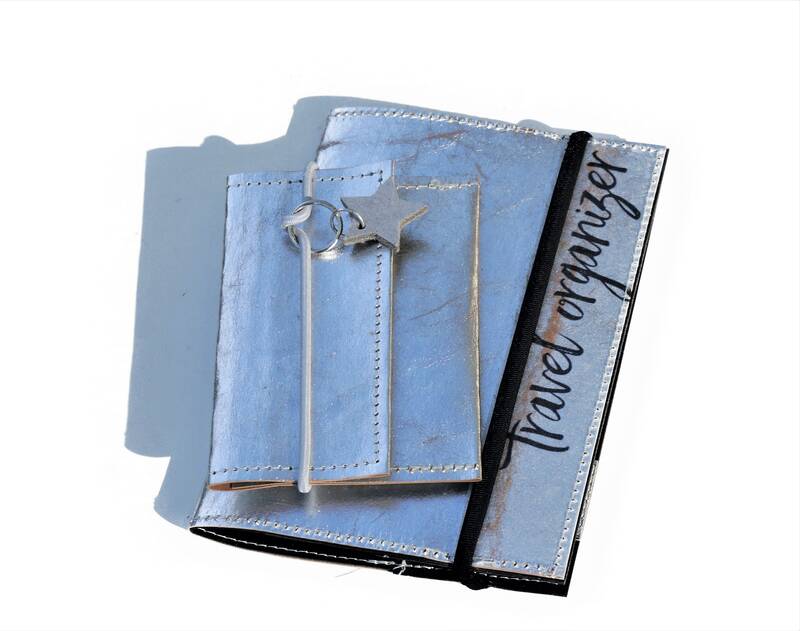 The special-the pencil is sealed with a grey rubber band, a leather star hangs on it. The rubber this can be pushed upwards to open. 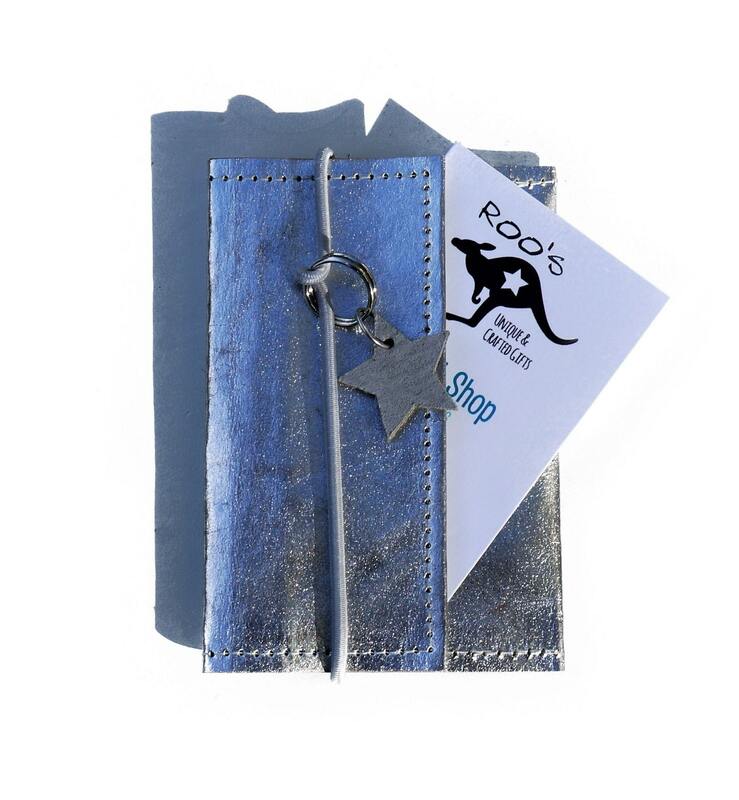 The small cover in the format 7 cm x 11 cm offers space for about 20 cards. 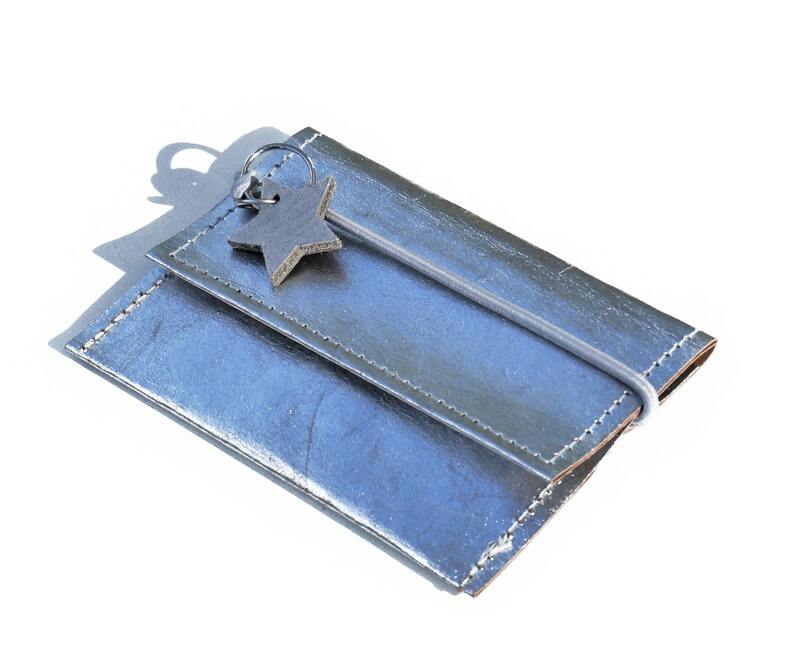 Suitable for this, there are also passport cases (see example photo) for all those who stand on silver! 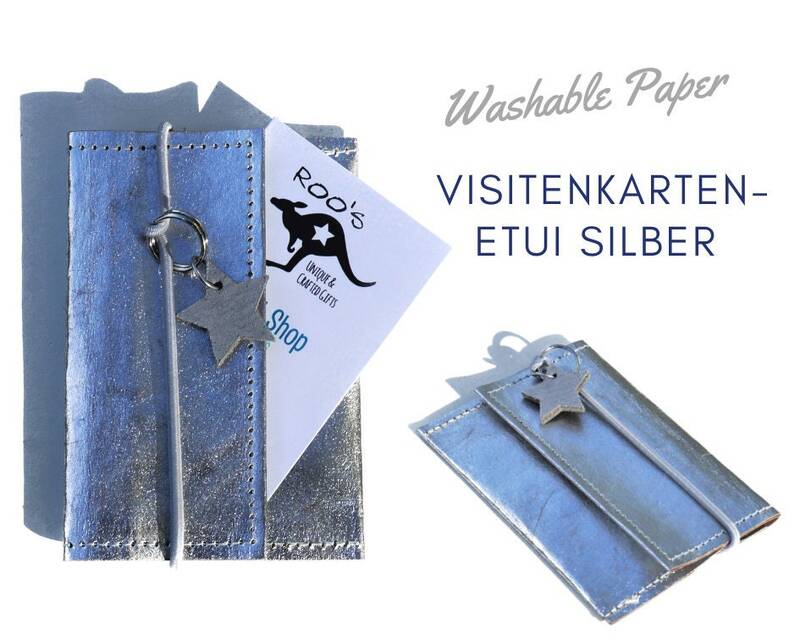 The case is made of washable paper, a material made of paper and plastic, which gets its typical leather appearance only by washing. 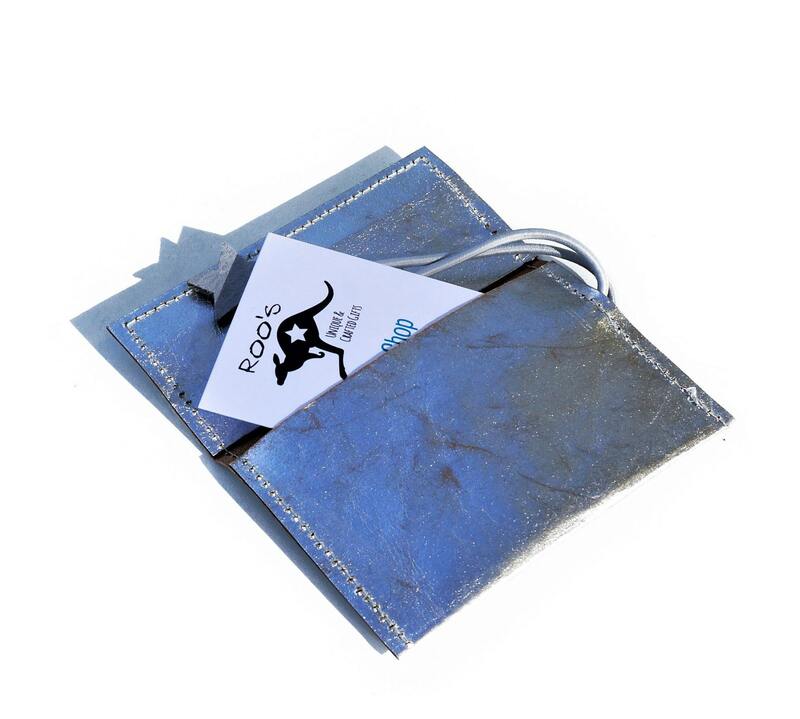 It is washable, waterproof and tear-resistant. This is why the thicker "leather scars" appear, where the colour appears somewhat bare. This "used look" is intentional and not a reason for complaint!